﻿ H.C.C. Munich Electronics Show in Germany is in full swing - Brand Dynamics - H.C.C. INTERNATIONAL LIMITED. The Munich Electronics Show in Germany was launched yesterday. 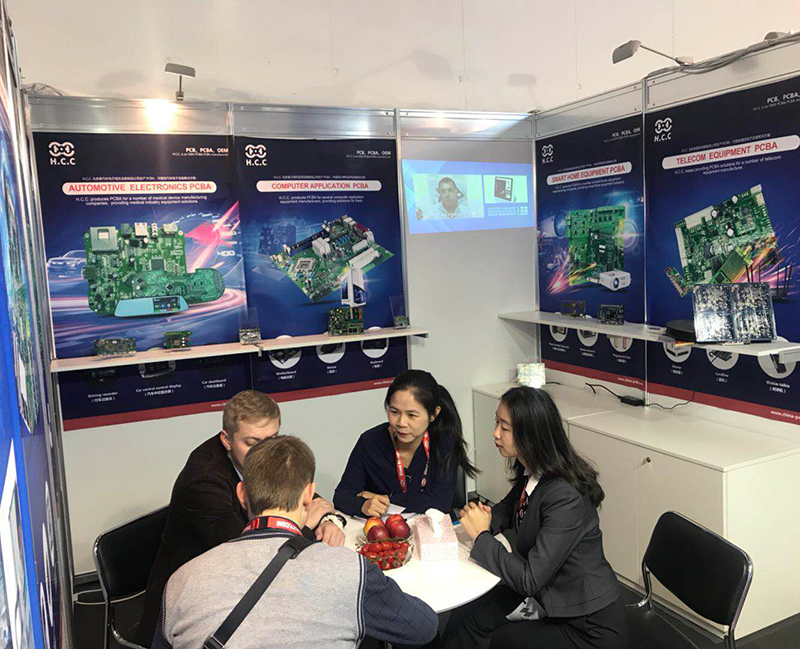 Hengtian Weiye (HCC) circuit board manufacturers also participated in the exhibition. Booth No. : B1.174/4. According to the exhibitors of Hengtian Weiye (HCC), the exhibition was effective. One day, you will be welcomed by local German companies and other national buyers. Let's take a look at the situation! 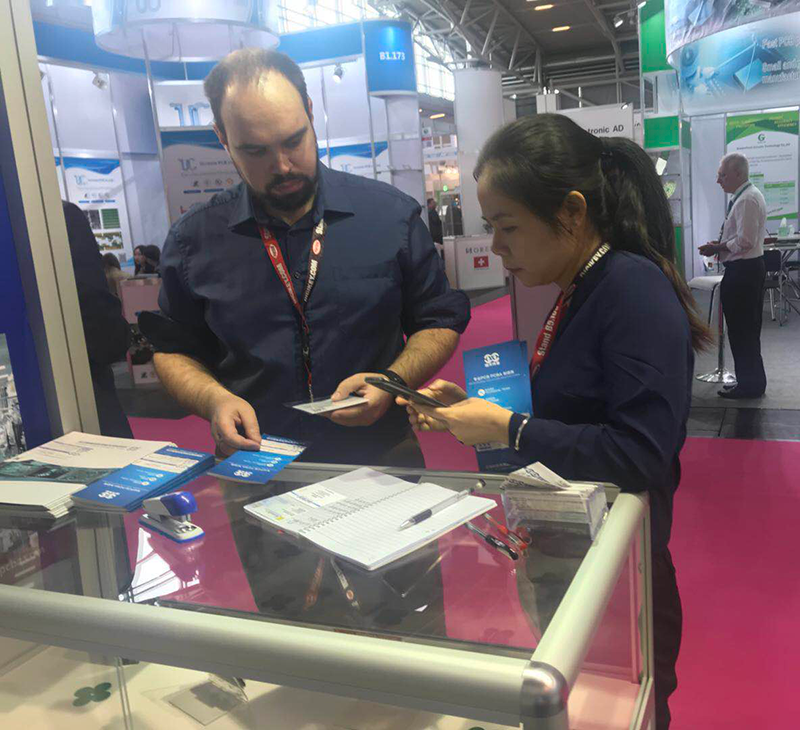 The Munich Electronics Show in Germany was launched on November 13, 2018. The time in Beijing is: 4 pm, 9:00 am local time in Germany. The exhibition hall has already seen a lively scene. 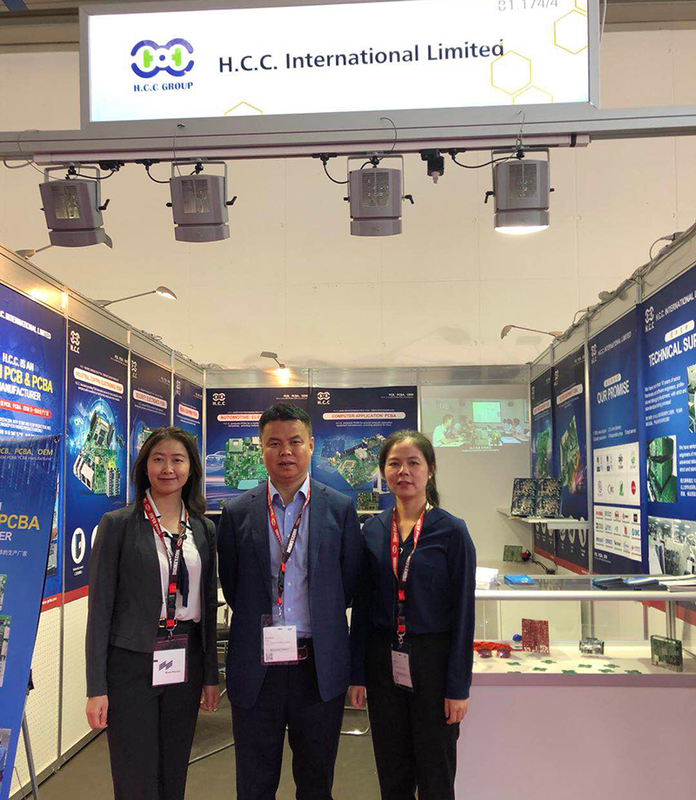 This time, our company Hengtian Weiye (HCC) attended the event. 3 people, the spirit of the face can be seen that this victory must be significant! 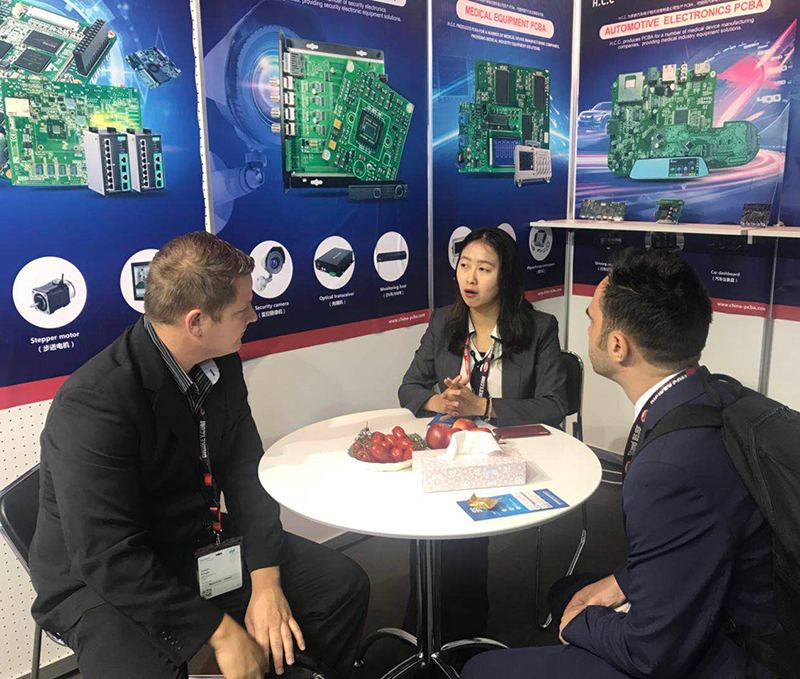 According to the feedback from our participants, many buyers of this exhibition are very interested in our PCB board. Many buyers are willing to exchange and cooperate. Due to the large number of customers staying in the conversation, the three exhibitors are busy and unusual. Fortunately, professional knowledge and A wealth of experience allows them to cope with ease, here is the live reception map of the exhibition hall! The first day of the launch has been successfully completed, and I look forward to a better record in the next two days!